Learning disabilities in basic reading affect the ability to read words in isolation and in passages. Students with learning disabilities in basic reading have difficulty understanding the relationship between letters and sounds. Confusion with common letter clusters such as th, sh, ing, str, and ight are common in learning disabilities of basic reading skills. Learning disabilities in basic reading likely involve difficulty with language processing and visual reasoning centers of the brain. They are believed to be caused by inherited conditions or developmental differences in the brain and environmental factors. They are not due solely to vision problems, difficulty with hearing or speech and language disabilities, or lack of instruction. People with learning disabilities in basic reading have difficulty understanding the link between letters and sounds. As a result, the learning disabled cannot decode words or use phonics skills to sound out words. Reading is physically and psychologically draining for people with learning disabilities. School problems are embarrassing to many people with learning disabilities, and they will avoid reading whenever they can. Learning disabilities evaluation can provide information to help educators identify the specific types of reading errors a child makes. They use this information to develop a plan of instruction and to choose from research-based strategies that will likely be effective for children with learning disabilities. Strategies focus on pre-reading tasks, developing sight word vocabulary, mediated reading instruction, phonics, and possibly language therapy to help students learn. As children build basic reading skills, teachers will introduce activities to improve fluency as well. All students with learning disabilities may appear less capable of learning than they really are. 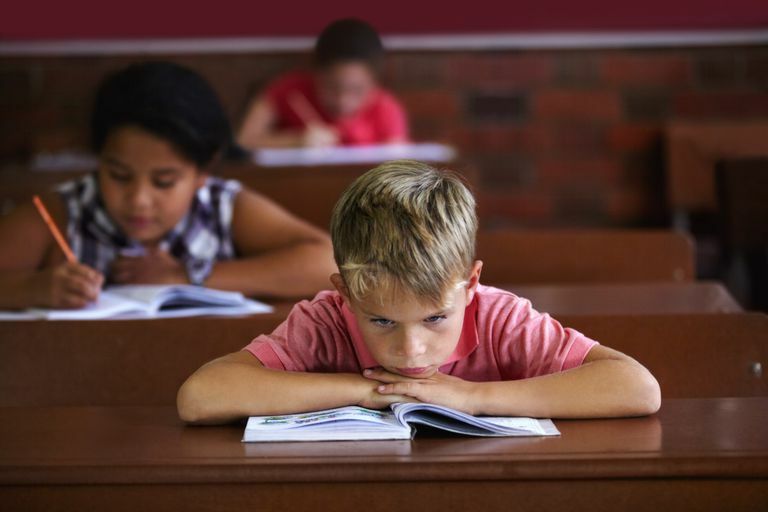 Learning disabilities may make them seem lazy or uncaring about school. However, most learning disabled students have general learning ability that is as strong as, or higher than, their peers. This can cause tremendous frustration for learning disabled students because of the effort they must put forth to get their work done. People with learning disabilities often know they are behind their peers, which affects their self-esteem, and consequently, motivation. Diagnosis of learning disabilities is a complex process. Standardized diagnostic reading tests can be used to determine what specific types of problems are affecting the learner's reading skills. Through observations, analyzing student work, cognitive assessment, and possibly language assessment, educators can develop individualized education plans. If you believe you or your child has a learning disability in basic reading, contact your school principal or counselor for information on how to request an assessment. Request a referral for your child to an IEP team to determine if the assessment is appropriate. For students in college and vocational programs, their school's advising office can assist with finding resources to help ensure their success.